No one likes dealing with the summer heat, and for acne sufferers it's not just a matter of staying comfortable-they're also worried that the hot weather may negatively affect their breakouts. Thankfully, there are steps you can take to protect yourself and your skin during the dog days of summer. Don't let the heat get you down-use these tips to keep yourself safe from the sun. If you're able to avoid sun exposure during the hottest times of the day, which are later afternoon in the summer, then by all means do so because you'll be missing out on both the heat and UV rays that can negatively impact your skin. We're not saying that you have to stay indoors, that would be impossible, but you may try to limit your time outdoors during these peak hours of heat. However, keep in mind that our heavy dependence on air conditioning during the hot summer months has a tendency to dry out the air in a building, so you might want to consider purchasing a humidifier for your home if you've got dry skin and are worried that your AC will make things worse. If you are going to be outside during hot times of the day, make sure you've got quick access to a towel. Sweat can make your acne problems worse. Sweaty skin has a tendency to attract dirt and other small debris that can cause your pores to become more clogged than they already are, so be sure to towel off periodically. However, don't forget to wash and change your towels frequently because dirty ones can help contribute to the accumulation of irritants on your skin. Sunscreen and other forms of skin protection are a must for acne sufferers. Sunburns promote inflammation of the skin, which makes it more susceptible to acne breakouts, so you'll want to take steps to avoid them. Many topical acne products such as those containing benzoyl peroxide, salicyclic acid or retinoids must be used in conjunction with sunscreen. If you're worried about having a negative reaction to the ingredients in sunscreen, you can first test the product on your skin to make certain the sunscreen or the sunscreen plus your acne treatment does not irritate your skin. When all else fails, you can always protect yourself quite well with an oversized hat and long sleeves. However, choosing a sunscreen brand that works with your skin and not against it will help prevent irritation and will keep you from having to endure the heat from all that excess clothing. During the summer months you may find that your skin begins to behave in unexpected ways. Sometimes people with normally dry skin will find that the heat makes them more prone to oiliness. Conversely, people with typically oily skin may find that it becomes dried out in the sun. These potential changes are things to consider when designing a summer skincare routine - what works well with your skin during the rest of the year may not be the best thing during June, July, and August. Be flexible, and look for ways to make adjustments if necessary. While protecting your skin from external contributing factors is a good way to reduce the outward symptoms of your acne, if you're not also working to treat the inner causes of acne then these summertime tips will do you little good. Acne is not primarily caused by heat or sweat-rather, it's often the result of a hormone imbalance, in the form of free-floating androgens in your blood stream, which send signals to your sebaceous glands (located beneath your skin) to overproduce oil (sebum). While these other tips will help mitigate the impact of acne, or help prevent worsening of existing acne, without addressing its internal origins you can never be sure that your acne is gone for good. The best approach to obtaining clear skin is to prevent acne from happening rather than treating it once it occurs. 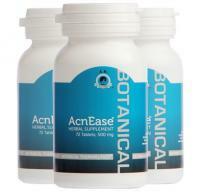 AcnEase is a product that has been designed to moderate the response of your sebaceous glands to this hormonal imbalance in a way that is both safe and natural. AcnEase unlike topical acne products has NO sun restrictions. So don't let your acne hold you back this summer - beat the heat with AcnEase! Sun exposure may cause inflammation. The masks below calm and moisturize the skin. You should do one after the other. Please use organic ingredients when possible. Slice cucumber into round ¼ inch slices. Wash your face and pat it dry. 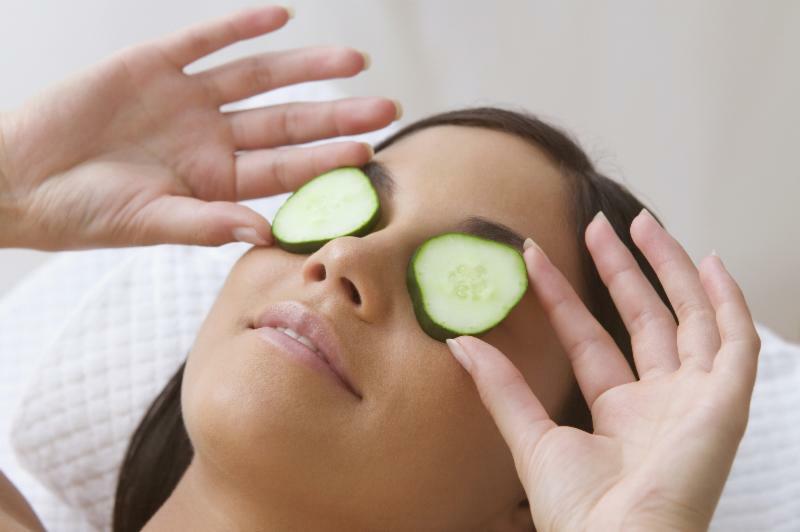 Lie down and put the cucumber slices all over the face and décolletage. The last 2 or 4 slices may go on the closed lids of your eyes. Rest for 10-15 minutes. Take cucumber slices off and discard. Your face will be wet from cucumber juice. Do not rinse it off but massage gently into the skin. Cucumbers contain large amounts of water, and are rich in vitamin C so the mask will enhance the skin's ability to regenerate. Mix all ingredients well to achieve the consistency of paste. Spread on a clean and dry face. Massage gently and then leave as thick of a layer as possible on the face for 20-25 minutes or until semi-dry. Remove with lukewarm water and a cotton cloth. Skin will feel cool, refreshed, and the look of acne marks will be less prominent.